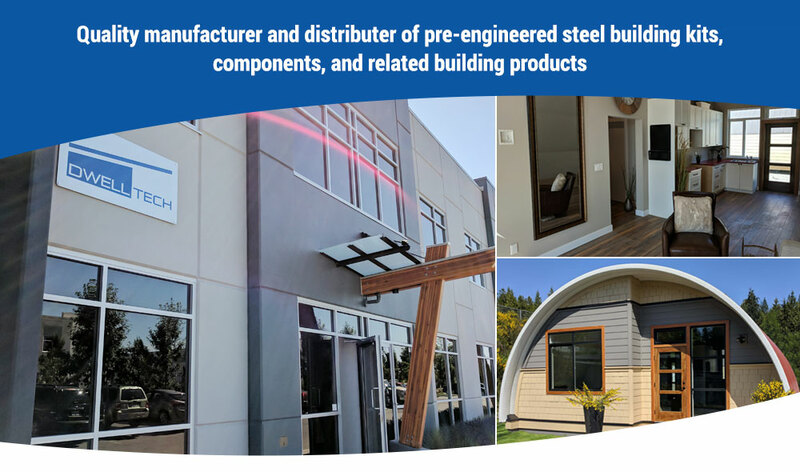 DwellTech Industries is a manufacturer and distributor of pre-engineered steel building kits, components, and related building materials. These kits are comprised of two building systems. The BLUELINE™ Building System is the company’s traditional style steel frame building kits. However, DwellTech also offers a very unique “Arches Building System™” which is a curved roof/wall Quonset style small home or rental accommodation. DwellTech operates out of its head office located in Port Coquitlam, BC, and sells its products through building contractor partners located throughout British Columbia, Canada as well as in the Caribbean (OECS). © Copyright 2019 DwellTech Industries Ltd.